AN AMATEUR missing TV enthusiast has discovered a lost BBC film featuring celebrated poet Adrian Henri, while scouring the internet. The film, from 1968, profiles the Brighton Festival, where Liverpool Scene poet Henri was performing. Filmed in colour and lasting 24 and a half minutes, the footage was originally used as an insert on pioneering BBC2 arts programme Late Night Line-Up. It was located in the Screen Archive South East at the University of Brighton by Ray Langstone, who says he was searching online catalogues “just in case” they contained any missing TV material. He said: “I was searching online through a number of archives and I decided to start with the regional screen archives, just in case that there were any missing TV episodes in them. “I thought it unlikely, but I thought ‘why not?’. I found a few TV clips in the Screen South Archives, and these included filmed inserts from Nationwide, Blue Peter and a Southern TV news report from the late ’50s. 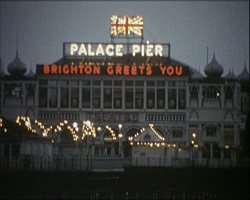 The film looks at the content of the Brighton Festival, then only in its second year, and considers its potential for development. Description Shots of Brighton seafront on an overcast day open the film. LNLU presenter Joan Bakewell is filmed walking along Madeira Drive before interviewing a host of Festival participants. These include artistic director Ian Hunter talking about the Festival’s value to local residents, musicians Daniel Barenboim and Jacqueline du Pré discussing Festival concerts, composer David Cain assessing audience reaction to the premiere of his new work “Mass For Tomorrow”, playwright Janet Burroway discussing art culture at the Festival while riding aboard the Volks Railway and sculptor Jesse Watkins talking about his piece “The Talking Sculpture”. Also featured is poet Adrian Henri, who performs his science fiction-inspired poems while traversing playground rides dressed as an astronaut. The interviews are interspersed with images of Festival events and exhibits. Students from the College of Arts create chalk drawings on the pavement of King’s Road Arches, electronic music from “Mass for Tomorrow” is played over images of St Peter’s Church and colourful modern sculptures by sculptors including Barbara Hepworth, Henry Moore and Francis Morland occupy the grounds of The Royal Pavilion. 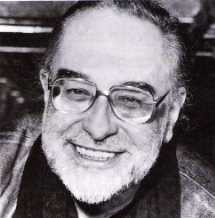 In addition, the film contains a series of vox pops which gauge the reactions of the visitors to the Festival. According to the archive entry, most are “bemused” by the modern artworks. After finding the film, Ray contacted BBC Archive’s Andrew Martin, who confirmed it was lost. The BBC Archive team are currently arranging for its return. Originally broadcast on May 13, 1968, it is now one of the earliest BBC colour films known to still exist. A delighted Ray has also found other material known to be missing from BBC shows, including Top of the Pops performances uploaded to YouTube, and says he is “continuing to search online” in his spare moments.